Thursday lunchtime. Almost full with diners but we managed to get a table. A sunny Wednesday which brought several people out to enjoy the last of the summer weather. We sat in the garden. The oxtail stew was delicious. A pleasant Thursday lunchtime so we sat on the terrace to eat and drink. Tonbridge - Blonde Ambition 4.20 In cracking form. The hops really came through. Busy Friday lunchtime but plenty of room on the patio. Food offerings were good, as usual, and a bit different from the normal pub fare. Sunday lunchtime. Quieter than I expected. A few seasoned drinkers at the bar and a some diners. Sunday lunchtime and almost all tables were reserved for diners. We found an unreserved one in a corner and had a roast lunch. Fuller's - Gale's HSB 4.80 Not Tried Went off as we came in. Comfortable Thursday lunchtime. 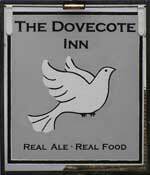 Excellent food choices - as per normal - and the staff very friendly and welcoming. Royal Tunbridge Wells - Dipper 3.70 Really tasty session beer. So nice I didn't bother to try anything else. Fairly quietish Saturday lunchtime. My wife was challenged by the food menu (she wanted everything) but did decide in the end. It was very nice too. A busy Friday lunchtime but quickly served despite lots of people milling around the bar. As we wanted to eat our drinks were carried to the table for us. Attentive service throughout the visit. Hanlons (formerly O'Hanlon's) - Original Port Stout 4.80 In excellent condition. Royal Tunbridge Wells - Royal Best Bitter 4.10 Very tasty bitter. Westerham - Finchcocks Original 3.50 In top condition here, showing its true character as a light mild, with soft hoppiness and biscuity malt really showing through. My score 16/20. 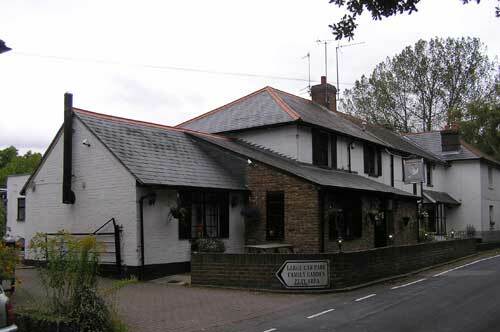 The pub is found in Capel-le-Ferne, Kent, TN12 6SU. One bar pub with a couple of drinking areas. Attractive interior with some exposed wood and red brick and a real fire. There is also a largish trellis covered patio and a garden. Beer is served on gravity from casks behind the bar. We have visited this pub 11 times, seen 21 different beers and tried 13 of them.